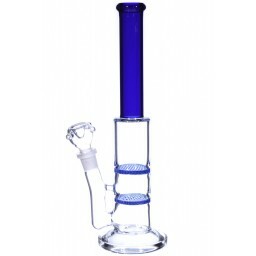 The Punisher - 17” Double Honeycomb Perc into Stereo Matrix Perc -The Greatest Online Smoke Shop! Black tube with ice pinches. 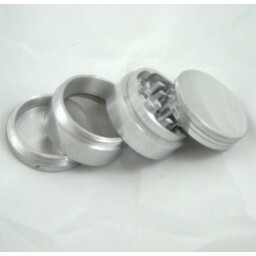 19mm female joint with 19mm male matching dry herb bowl. Solid, sturdy design with awesome black accents. 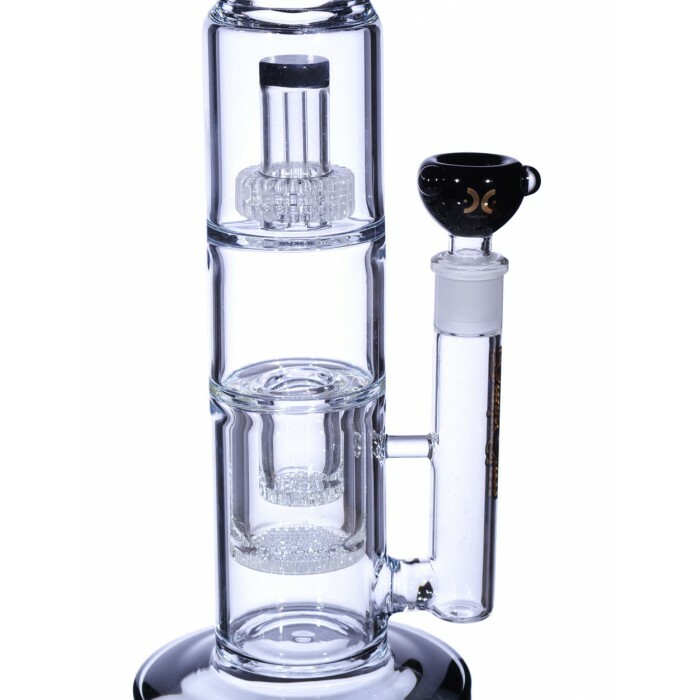 Double honeycomb percs and a stereo matrix perc combination. Thick ice catchers near the mouthpiece. 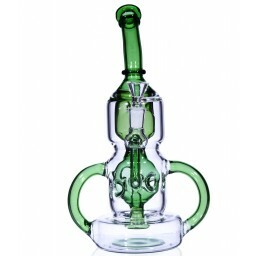 Crafted with top notch, 5mm thick Boro glass. 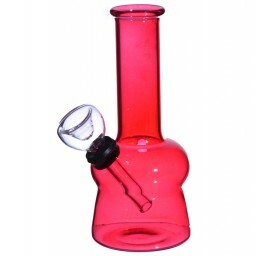 This pipe has a 19mm female joint and a 19mm male bowl for dry herb. We know what you’re thinking, “Why would I buy a piece called ‘The Punisher’? I want to save my lungs, not punish them!”. We could not agree more. This pipe was designed to beat the bloody pulp out of harsh smoke and preserve the delicious taste of your finest dry herbs. There are some lung-saving attributes to this fume-fighting hero that you may have never seen before. Don’t get mixed up with the wrong crowd and find yourself puffing on harsh pipes. Pick up The Punisher and fight to preserve your lungs while enjoying the most flavorful smoke you’ve ever tasted! 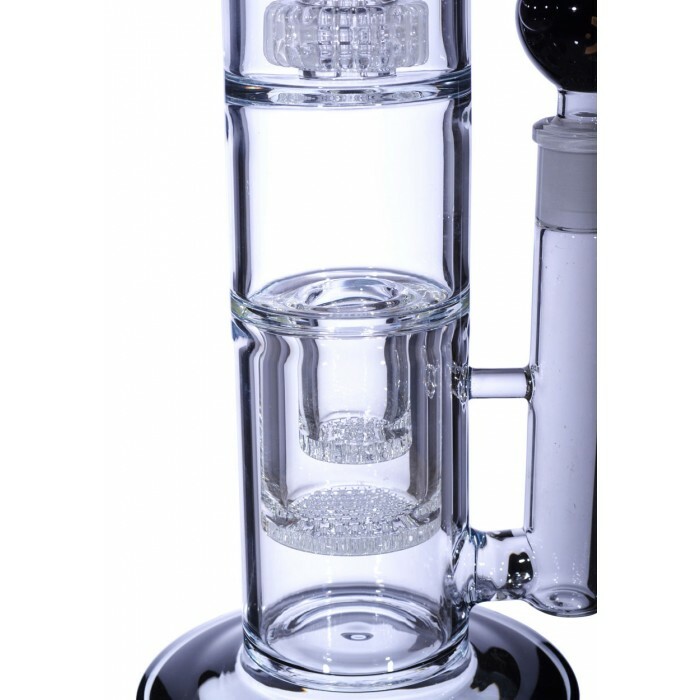 Much of what makes this piece so great is without a doubt the percolators, and The Punisher is locked and loaded with multiple percs. 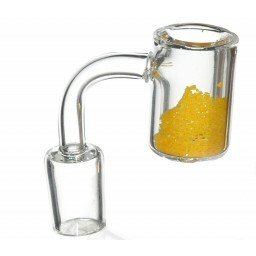 The smoke will first travel through a series of honeycomb percolators. That’s right, a series. There are two total; a large one at the bottom and a smaller one just above it. That means double the smoke-ripping filtration. 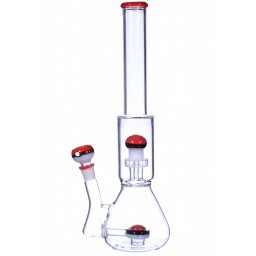 As if that wasn’t enough, the filtered smoke then moves up into a powerful stereo matrix perc for further filtration and cooling. 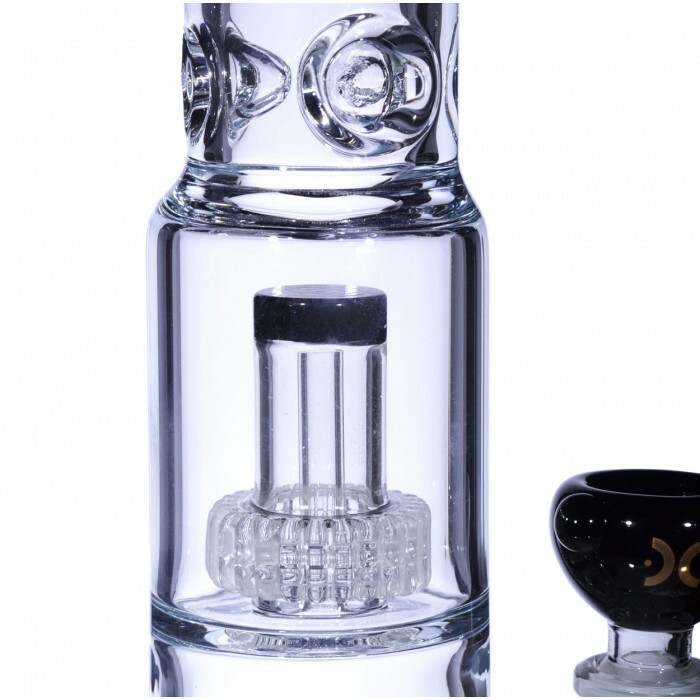 To cap off this beast of a piece, there are ice catchers blown-in towards the top of the pipe that can hold some cubes to chill those tasty fumes before they hit your lungs. The Punisher is the real deal and is a safe bet for any first-time buyer. 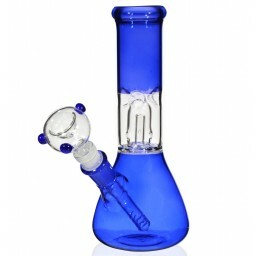 The base of this pipe is 5” with a 2.5” water chamber. 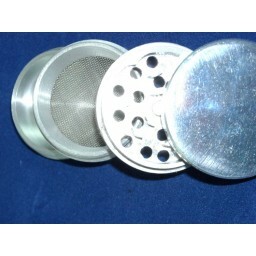 It has a 19mm female joint and comes with a 19mm male dry herb bowl.